The boys went to “the snow” for the first time this past week. 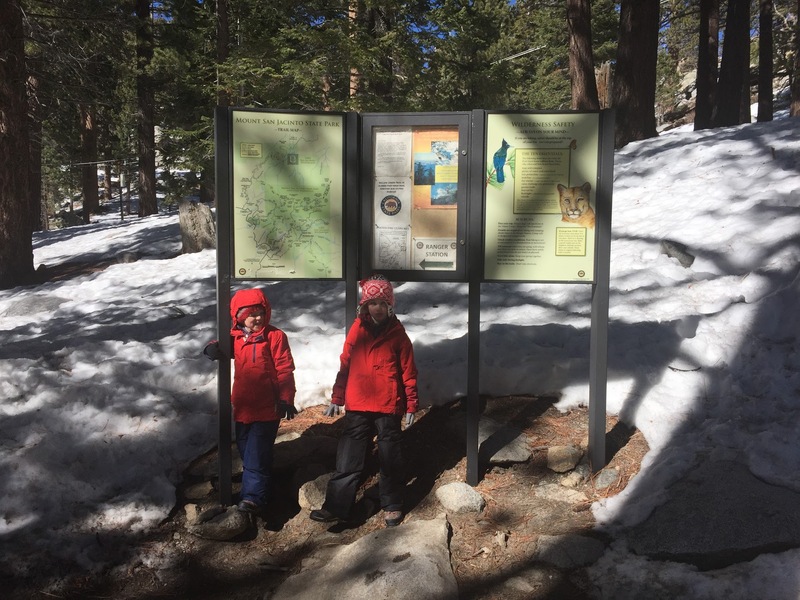 We took the tram up Mount San Jacinto and the boys had a fun afternoon tromping about, throwing snowballs, and sliding down a steep hill. 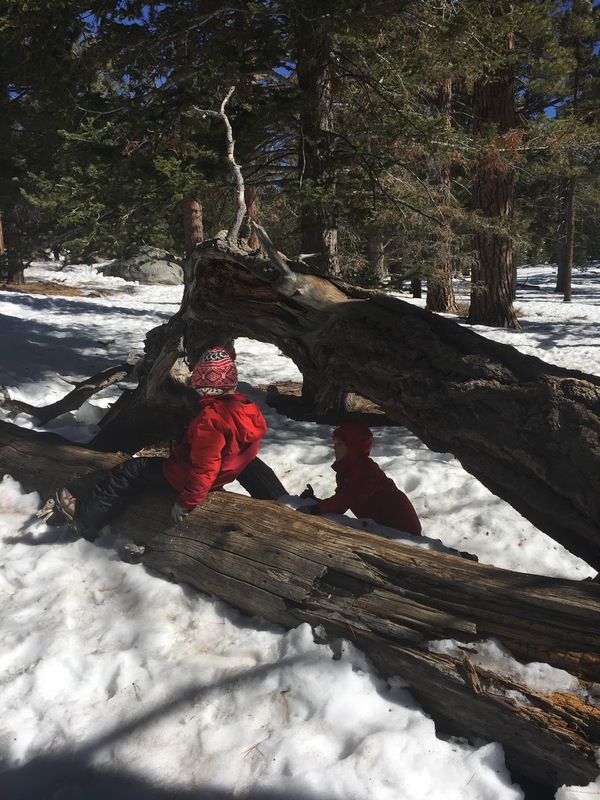 We were fortunate enough to borrow some snow pants, the boys initially complained about how hot they were — they had several layers on — but once they got into the snow, they were thrilled to be warm and dry.